You can easily add your companies standard terms and policies for candidates to agree upon when applying for your positions. Attach your standard agreement/s on a team level, so that all team members will have them suggested when creating new position. 6. 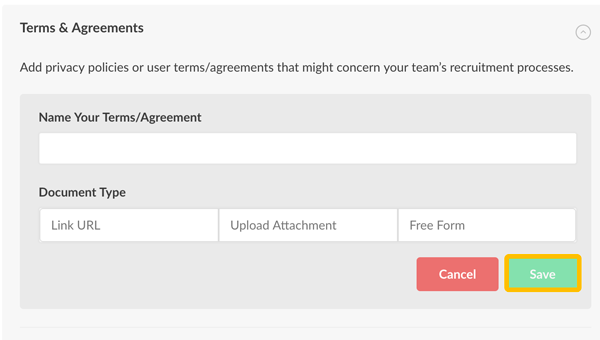 Choose if you want attach a link to your agreements, to upload an attachment or to write in free form. 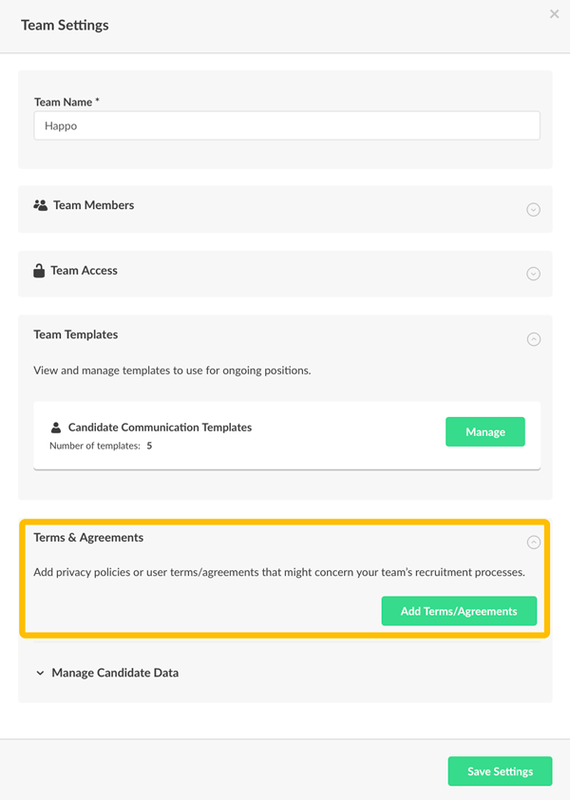 All team members will have your added agreements suggested when creating new position. If you want to know how to attach these agreements or policies to your positions, read more here - Add terms and agreements to your position.